Sam van Rossom is uitgegroeid tot een van de zekerheden van de Belgische Nationale Mannenploeg; geslaagde Topspeler in het Buitenland, Kampioen in de ACB zelfs, en daarvoor een Hoeksteen van BC Oostende(BCO). 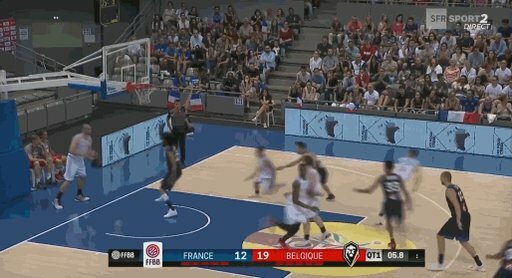 In mijn vorige leven als volgde ik van Rossom(Fb) voor het eerst in 2005 op een Fiba-Europe MU20-B-Divisie Toernooi, maar mijn echte kennismaking was simpelweg vanwege mijn vriend Rob Meurs, die als scout/consultant voor BCO werkte, die mij als klankbord gebruikte, waarvoor ook mijn scoutinginfo werd gebruikt, en omdat ik om die redenen enkele malen per jaar mee ging naar wedstrijden in Oostende om een en ander met eigen ogen te zien. Sam(1986, @SamyV09 ) is in mijn ogen een speler die het maximale uit zijn talenten en mogelijkheden haalt, een intense speler, niet bang om de grote schoten te nemen -en in staat ze te maken- en hij heeft zijn carrière stapje voor stapje opgebouwd. Daarnaast is hij een van de spelers die zo'n beetje de gehele opkomst van de Belgische Nationale Ploeg heeft meegemaakt. En die -net als het hele team en de staf waarschijnlijk hoopt dat er op EuroBasket 2017 geoogst kan gaan worden...in navolging van de Vrouwen die nog maar even geleden Brons wonen op hun EK. Een medaille zou een absolute stunt zijn, maar kijk niet gek op als de Belgen beter gaan scoren dan ooit. 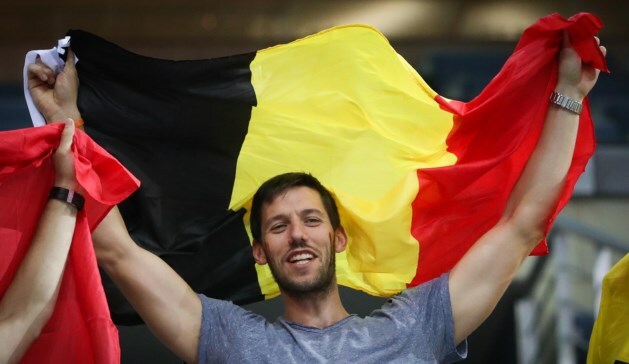 ANTWERP (FIBA EuroBasket 2017) - Sam Van Rossom remembers the time when Belgium's basketball team had no prestige in Europe, when the leading sides on the continent were reluctant to play them in warm-up games for major competitions. Those days are long gone, judging from the line-up of Belgium's friendly opponents for FIBA EuroBasket 2017. Van Rossom and Co have gotten better and better the past several years and are set to make a fourth straight appearance in Europe's flagship event. Leading sides on the old continent now want to face them. "The evolution is going very well," Van Rossom said. "I remember when I first came to play for the national team, it was hard as we were fighting to stay in Division A and now we're going to compete in our fourth EuroBasket in a row. "Also, we're able to play during our preparation against top teams, which didn't happen that often a couple of years ago. We receive invitations for very competitive friendly games and tournaments, and I think that people in Europe respect us as a very solid national team. That shows that we've been improving a lot and that the other countries see us as a competitive team." Spain, for example, are the defending champions of Europe and have a NIKE FIBA World Ranking of No. 2. They will play Belgium in Brussels on Wednesday night. It will be the second time the teams have met the build-up to FIBA EuroBasket 2017. "Things are interesting so far," Van Rossom said. "There are some ups and downs, but we're improving. We showed that we can compete and win against very talented teams, such as Italy and Spain, whom we beat this summer, but we also had some bad games against France and Tunisia. But that's normal as we are in our preparations and you try a lot of things to get the best chemistry. "We are still building the team and trying to get the best chemistry for the start of the competition, and that process is normal. Things are being very positive, so we're on our way to reach our best level for the start of the tournament." While there are veterans like Van Rossom, Belgium also have some youngsters that are likely to have important roles this summer or in the FIBA Basketball World Cup European Qualifiers, which tip off in November. "I like seeing that the young guys have been improving a lot," Van Rossom said. "Manu Lecomte and the other youngsters like Hans Vanwijn are working hard and well, and I like the fact that they are adding their energy to the group. "The coach (Eddy Casteels) had a tough time to make the final roster as we have a lot of very good options for the national team roster. It's great to see young guys having an impact on the team, that's great for the future." Van Rossom has several years of playing at the highest level in Europe. He was on the books of CAI Zaragoza and spent the past few seasons with Valencia. This year was full of highs and lows. Van Rossom battled back from injury to have a prominent role, only to get injured again. He was nevertheless a vital cog for the club and helped it win the Spanish league for the first time in its history. He wasn't certain if he'd be able to play this summer but the veteran is getting back to his best and was included on the final roster. "I knew that the preparation with the national team would be a bit short for me as I had my surgery at the end of May, so I knew since day one that I couldn't be in my best shape at the beginning of the training camp of the Belgian Lions," he said. "I worked very hard to be with the team this summer, that is very important for me to be here. For now, everything is going well for me." The competition, Van Rossom says, is going to be fierce in Istanbul. That is where Belgium are going to play in the Group Phase against Latvia, Serbia, Russia, Great Britain and Turkey. We play as a team and we are going to play hard to have a great tournament. If we play well and have good chemistry, we can do great things in Istanbul. "It's a very tough group," he said. "It's going to be my fourth EuroBasket, and in my opinion, it's the toughest group we ever had. The teams are very good; most of them have NBA players and some very competitive EuroLeague guys. If you check their roster, they are all very talented. "Players are very important, but the team unity and chemistry is what's most important. We probably don't have the most talented team compared to Serbia, for example, but we play as a team and we are going to play hard to have a great tournament. If we play well and have good chemistry, we can do great things in Istanbul."